With the decrease in cost of electronic storage media, more and more sensitive data gets stored in those media. Laptop computers regularly go missing, either because they are lost or because they are stolen. These laptops contain confidential information, in the form of documents, presentations, emails, cached data, and network access credentials. This confidential information is typically far more valuable than the laptop hardware, if it reaches right people. There are two major aspects to safeguard the privacy of data on these storage media/laptops. First, data must be stored in a confidential manner. Second, we must make sure that confidential data once deleted can no longer be restored. 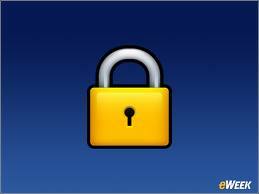 Various methods exist to store confidential data such as encryption programs, encryption file system etc. Microsoft BitLocker Drive Encryption provides encryption for hard disk volume and is available with Windows Vista Ultimate and Enterprise editions. This seminar describes the most commonly used encryption algorithm, Advanced Encryption System (AES) which is used for many of the confidential data storage methods. This seminar also describes some of the confidential data erasure methods such as physical destruction, data overwriting methods and Key erasure. Keywords: Privacy of data, confidential data storage, Encryption, Advanced Encryption Standard (AES), Microsoft Bit Locker, Confidential data erasure, Data overwriting, Key erasure.